I do not know if this comes under a problem with the display or the FMC, so I'm putting it here. If, after activating and executing a flight plan in the FMC (CDU), if I make any changes to the plan, and then press the EXEC button, the flight plan tracks do not change to a solid magenta lines. They remain, what looks like, a cross between dotted magenta and dotted blue lines. The MCP will till follow the flight path of the modified. The old waypoints (no longer required ones) remain visible on the PFD. This is in the "known issues" thread above. There will be a popup, it just doesn't exist yet. The navigation system doesn't work. I had update airac and type into FMS route from UUDD to ULLI. Firstly, airports (UUDD, ULLI) were not shown on ND, secondly, all waypoints of route were shown AFTER EXEC of route. Then I'd need to type SID. I have type it. Suddenly route losed and was shown only SID. Route kept only on FMC, on ND it losed. It is doesn't possible to fly on it. May be, I do some not right? But I have try to fly one more time, but it this time, waypoints were not shown, and after EXEC of route too. Also, the GS and wind don't shown on ND. And baro-altimetr does not work too and many many many many many others!!! Also,I have interested, then released base version (1.0) can I get FREE update from 0.2 to 1.0 or it will be payware? Just Noticed this but when I go to align the IRS the it starts to align but then it resets somehow and asks me to put in the coordinates again. Yep I have this too, it gets aligned only if I used the GPS coordinates, not the gate or airport entered ones. Some observations after a full normal flight. VNAV does not work very well. - Can't hold a steady climb rate. - Climb thrust isn't reduced when arriving at the cruising altitude. Engines continue to operate at full power. - VNAV randomly commands the plane to descend sharply while at Cruising altitude and then after descending the plane ascends sharply back up at full power and misses the target altitude... In simpler terms the plane sometimes cruises in a wavey pattern vertically. *Edit - Also noted that when flying eastbound with a heavy tailwind this is more likely to happen. [(second tidbit - not sure if this is because of me or because of the plane but I cant change the altitude via the 2D MCP pop up panel. Only allows me to change the value from 100 to 1000). LNAV works perfectly for me, No issues found with it in all the flights I have done yet. VNAV is working very well for me. I am not seeing any of the problems you have mentioned above. I have only done one flight in really foul weather (mainly due to the fact that the ability too take off and raise the gear was not 100% guaranteed), but it behaved itself for that flight too. Are all you flights started from the 777-200 Cleared for takeoff (KSEA) flight? Because that is where it really counts at the moment. 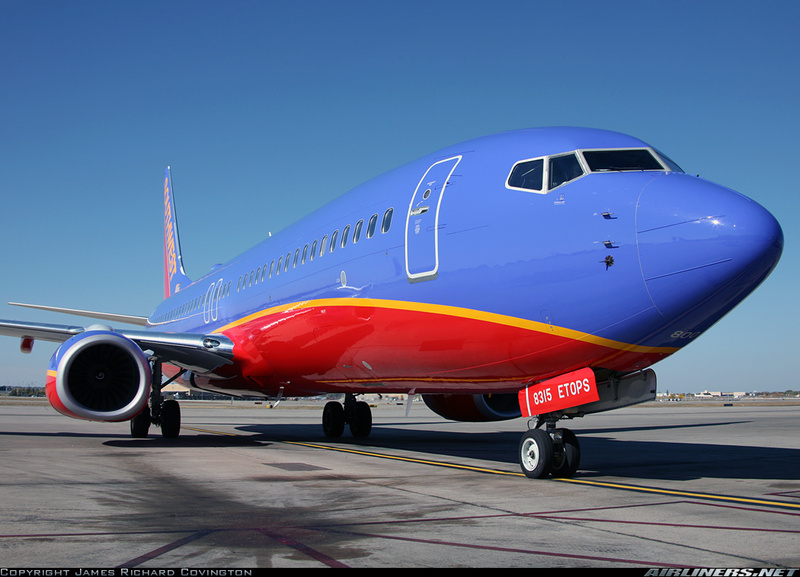 Have you tried with the KSEA saved flight? In this case for me all the buttons work except for the A/P. I've tried going directly to the saved flight (KSEA, American Airlines) and without. I can turn the dials to set a heading, altitude, or vertical speed but, whenever I press any buttons, none of them light up. The A/P engage button is the same. Also, the EFB is always off. How can I turn it on? Ok - I got LNAV and VNAV to engage (after reinstalling for maybe the fourth time), but the A/P button still will not turn on. I have tried turning it on with a heading hold and a vertical speed as well as with VNAV/LNAV, but the A/P will not engage. Actually, I have exactly the same problem. After some reinstall, I can at least switch on all the buttons, except for the A/P. For sure I experienced this on my flight from HKJK to EGLL. Fuel burns from centre tank with all pumps on Ok, then moves to left main tank alone with all main tank pumps on. this I believe is the cause of the rocking wings for all those with that problem. Whenever LNAV or heading select cannot fly wings level check fuel imbalance. Fuel not burning from right tank at all with four main pumps on. That is definitely fixable, After balancing, the airplanes flys nice and steady all the time. Step climb prediction seems to be missing from VNAV CRZ page. - FMC doesn't give the correct VSpeeds. They are always 161, 163, & 169 no matter which weight I am at. - Thrust Derates still don't work. � � They are always 161, 163, & 169 no matter which weight I am at. Also suggested trim is wrong, always reports 4.32, when she really needs 6.00. Also since the 777 is FBW, shouldn't this be automatically set like the Airbus? I tried out the KSEA-KSFO flight. I decided to enter the STAR data about halfway into the flight, but as soon as I pressed the 'DEP ARR' button, it showed 'KSEA ARRIVALS', whereas it should have been 'KSFO ARRIVALS'. When I tried to change the flightplan, nothing actually happened, and the plane flew over KSFO at 31000 feet.... Actually, The FMC treats KSFO as a normal waypoint. Press the INDEX button to go to the main DEP/ARR page so you can select KSFO arrivals. (RTE DATA) entering grid winds in Rte data in legs page should apply to all waypoints for all entered levels or a single level for average wind for the entire route as long as no wind has been put for that waypoint. As it is waypoints not modified have no forecast winds or temperature at all unless you manually do it waypoint by waypoint. Also line selecting a wind should bring it to the scratch pad. Perhaps a weird one, but only some of the FMC buttons actually produce the sound, some at random intervals. Has anybody else experienced a disappearing route? On a flight from KSEA to RJAA, I made it 2/3rds of the way then the magenta line went 120 degrees to the left. The LNAV followed the FMC course, so I was able to fly to RJAA, but since the radio navigation functions do not work, I had no navigation data to follow. Hopefully for .3 we can have the radio navigation working on the display. I have had problems with an approach to CYVR 26L.It does not capture the LOC or glideslope. Has anybody else experienced a disappearing route? Yes. It happens on almost every flight I do. Since version 0.2, 0.201 and now with the 0.3, it is not possible to align IRS and have a position to start a fly. I always start the scenario recommended (Cleared for take off KSEA) without change anything (Airport, weather, aircaft, fuel etc. ), just to start on an airport pattern (And doing some IFR stuff). When you first load the 777 in FSX reload the aircraft (I know this goes against CS's instructions, but it works. You will need to switch on the Hyd switches on the left rear overhead, (The EEC switches should now be on by default in 0.3) Make sure the ADIRU switch is on as well as the primary flight computer (guarded switch next to ADIRU). From there everything else should me normal. The ND may or may not show the route, that is hit or miss at this point, but the AP will work AS well as the LNAV/VNAV modes. I flown a number of flights this way, including a 15 hour Newark to Hong Kong flight! Also when you align the field is populated with zeros in the coord field, that is why you can't align. Just delete the field using the delete key then you'll get the entry boxes, and can populate the proper coordinates. could you please let me know how can you engage the A/P, because until today I could not do that. I puch the A/P button buth it does not turn to green. Using ver 0.3. Whenever I attempt to pot in initial position I get "invalid entry" error in the FMS. Also, when I attempt to, as suggested, reload the a/c after loading the SEA flight my engine instruments all show zeros as if the engines are not running, although they are. Any ideas? Using ver 0.3. �Whenever I attempt to pot in initial position I get "invalid entry" error in the FMS. �Also, when I attempt to, as suggested, reload the a/c after loading the SEA flight my engine instruments all show zeros as if the engines are not running, although they are. �Any ideas? When you align the field is populated with zeros in the coord field, that is why you can't align. Just delete the field using the delete key then you'll get the entry boxes, and can populate the proper coordinates. could somebody please let me know how can you engage the A/P, because until today I could not do that. I puch the A/P button buth it does not turn to green. Make sure that both FD switches, on the MCP panel, are turned on. Then once in the air, press either the left or right A/P Switch. actually, that is what I am doing, but although I can push the button, it does not turn to green. All the other buttons work (LNAV, VNAV, etc.) but the A/P not. It is so sad, because without A/P it is not possible to fly routes. Try reinstall the 777 using the repair option and see if that fixes it. If you are using Vista or Windows 7, make sure to install it using "Run as administrator". Normally, I think that the FD is not necessary to engage the PA... No? Also make sure the ADIRU switch on the lefthand side overhead panel is selected on!! To the development team - 0.3 deserves a well done. I just flew across the pond (JFK-EGLL) in 15 seconds by changing the map coordinates and the FMC did not hicckup! The approach was very smooth although the Cat 3 flare obviously is not implemented. No wing rocking ( I did change the fuel in flight to be a more realistic number) on final. I did modify my cfg file re the AP to remove all wing rocking in turne, etc. Looking forward to the 0.4 release. former B-52, 707.727 pilot - yes I am an old F...! Now it works, I can engage A/P! Thank you for the help. I still experience that my wings are bumping when A/P is on. After a few minutes of flight it disappears and A/P flys the aircraft very smoothly. I still have the problem that the gear can not be retracted. 1st - Landing Gear won't retract. Pressing G or the Joystick Button won't retract the landing gear. There is the sound of the landing gear retraction, however the landing gear stay down. Also, the landing gear lever won't even move by pressing either G or the Joystick Button and even moving the lever with the mouse won't retract the gear. It is a major product problem. 2nd - Light switches. Pressing the overhead panel switches (Position, Strobe, Logo etc) or switching the landing lights or taxi light etc, won't turn on the lights at night. Just pressing the keyboard L key turns on all the lights. Again, a major product problem. 3rd - Navigation Mode. Pressing the main panel LNAV / VNAV won't work and/or turn on the navigation mode. The airplane has to be flown maualy, although a flight plan with waypoints and take off data were inserted into the flight computer. 4th - Control Column and Flight Surfaces. Loading the airplane the first time looks like the control column (Steering Wheel) and the control surfaces (Aileron, Flaps, Elevator. Rudder) are jammed, although the latest service pack was installed. I reinstalled, in order, 777, sp2, sp3, and the gear retracts fine, The light buttons I do not believe have been implemented yet. Probably in a future BETA SP. This should help you as it helped me and several other people. Load a clean startup flight first, suggest the startup flight from FlightOne which I use. Then, from within that flight, load the 777 Seattle flight and see what happens. I have done this, moved the plane to JFK and flown a JFK - EGLL flight generated by FS Build with no problem. Thanks Jack. This works for me to and I have completed several flights with other liveries. FMC button for -Brt+ on popup window will sometimes cause the display to go full dim/dark on a single click. The only way to prevent it is to prese the exec buttom below it. Using FMC and VNAV. Often the descent profile chosen by the VNAV leaves the plane much too high to land. I agree with Ben. 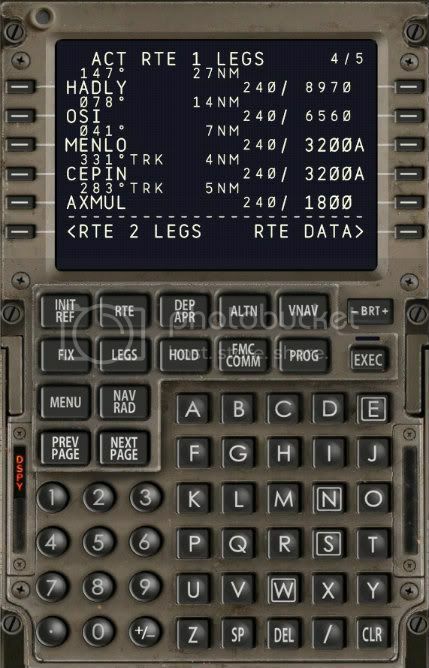 I selected the Tommo1D star, app to 09R at EGLL and had to manually get to the proper ILS intercept altitude. my guess is that this on the 'to be looked at' list. Yes, agreed. flying a STAR does not end with the aircraft descending to ILS intercept altitude. Unless you anticipate this, you have to circle while manually descending. On other problem I encounter is that after loading a route in the FMC and activating/executing it, it doesn't always show up in the ND (set to MAP and an appropriate range). How can a loaded Route be saved? Where is the Route saved to? Why does the Active/Executed Route sometimes not appear on the ND? I have noticed the last letter in waypoint's are not always properly displayed on the ND... ERAVE shows as ERAV for example. FMC LSK button's stick and have to be double clicked to make them pop back up. Some STAR/TRANS do give a T/D. The following examples start on RWY 34L at KSEA using the 777-200 Cleared for takeoff (KSEA) flight. Example 1: KSEA-KSFO using Rwy34L KMORE3 BTG CDU OED PYE1.ENI MENLO ILS28L, as seen below, results in no T/D. In the above image, Waypoint MENLO displays 250/FL310 while Waypoint ZORLO, only 3nm away, displays 250/3100A. Example 2: KSEA-KSFO using Rwy34L KMORE3 BTG CDU OED PYE1.ENI MENLO ILS28R, as seen below,�results in T/D. In the above image, Waypoint OSI displays 240/6560, Waypoint MENLO, 7nm away displays 240/3100A. I think part of the problem may be the same way the Approaches are setup with the 757/767. Unless you have , ILS runway, STAR, and a Transition waypoint set in the arrival page of the FMC, the FMC will not calculate an approach. If you just select the ILS runway nothing happens. I think part of the problem may be the same way the Approaches are setup with the 757/767. Unless you have , ILS runway, STAR, and a Transition waypoint �set in the arrival page of the FMC, the FMC will not calculate an approach. If you just select the ILS runway nothing happens. Yep. I would say you are spot on. I believe that the 777 FMC is very similarly coded to the CS757 and CS767 FMC's and that I have the same issues in all three aircraft (same STAR/TRANS in all three). I originally included that in my post, but seeing this is about the 777 and not the 757 or 767, I removed that line. I found a way to overcome the problem with PYE1.ENI MENLO ILS28L. The solution works on some of the STAR/TRANS that fail to give a T/D, but it DOESN'T solve ALL of them. I am in the process of creating a small tutorial on how to fix it. I've just been trying to set up a flight from KSEA to KSFO, complete with a STAR on arrival. As you can see (I hope ) there is a gradual descent between OSI and RW28L... BUT! You'll have noticed that the changes have not yet been EXEcuted. When I do that, there is a descent from MENLO at FL310 to ZORLO at 3100A in only 3NM. Why does it change when you press EXEC? By the way, what is the significance of the 'A' in '3100A'? Now the TD is at ENI at FL310, next W/P, PYE, is at FL222, then STINS at 17560, HADLY at 10840, OSI at 8300, MENLO at 6250, ZORLO & HEMAN at 3100A, DUYET at 1800 and RW28L at 70. Couldn't be better! Again, BUT: As soon as I press EXEC, it reverts to the same steep descent between MENLO and ZORLO. Got to be a bug somewhere in this FMC! I'm going to try changing the altitudes by hand just to see if EXEC accepts them. Surprise, surprise! It worked. I copied the alts from this post into the CDU, pressed EXEC and nothing changed. I have found a way to get the T/D. I am doing a tutorial on how I did it. I have a lot going on at the moment (specialist and occupational therapist appointments), so it could be a few of days before I complete it. It is not too dissimilar to what you did, but I don't have to add the SPEED \ ALTITUDE to each waypoint after ENI. The tutorial will reveal how. 3000A means that you are below the transition level of the airport, thus it is not flight level 3000, but altitude 3000. Below the transition level you need to change the QNH from STD to the actual value, for example 10.13. It means that at that waypoint you must be flying at 3100 feet or ABOVE. Thanks for the solution to '3100A'. Hope your "appointments" don't imply anything serious. Anyway, all the best. Using .5 the FMC Legs pages will not adjust while flying the route, sometimes leading to the last page being blank and numbered 4/3. You are right Markoz concerning the 3100A. It was my mistake, I just looked it up in my user manual. Sorry for the wrong information marknixon. "You are right Markoz concerning the 3100A. It was my mistake, I just looked it up in my user manual. Sorry for the wrong information marknixon. " No harm done! � I didn't crash! Downloaded 0.6.Uninstalled all 777 entries.Reinstalled 0.5,then 0.6. Now I have no CDU display.What gives!!! Will there be accurate FUEL predictions based on the route. I am flying EGLL-LLBG (1998 NM) and I am not shown remaining fuel at the destination. Fuel for the next waypoint 20 NM away shows fuel at 56.0 (x1000) and destination fuel at 53.7 (x1000) remaining. Will this finally be fixed in the 777 and future CS products? does anyone know how to create flightplans without putting all the waypoints in the fmc? Is a bug in the FMC. Need to click DEL key. then RSK 'set inertial position', to clear the position (entry blocks will then be displayed). Then downselct GPS position and upselect to 'set inertial position'. Use jet airways (Jetways) to to go between waypoints and the FMC will aurtomatically add all the waypoints in the route between. For a flight from Melbourne (YMML) to Los Angeles (KLAX) I use a SID to waypoint DOSEL, the I use Y59 to SY, B450 to NOBAR, A579 to NN, B581 to FICKY then a STAR/TRANS to KLAX. This second image shows how it looks in the CDU. Left CDU shows that it is page 2/3. Page 3/3 will remain empty until I add the DEP and ARR (SID, STAR and TRANS) and it could end up with it being 4 pages. The LEGS page (the right CDU) shows that it is page 1/7, but could end up being 10 or 11 pages once the DEP and ARR are added to the flight plan. The Jetways used in the flight plan are: Y59, B450, A579 and B581. FMC still not displaying correct runway elevation at destination airport. I assume this would be an essential piece of data for autoland??? Coming into Changi airport I tried to disconnect the autopilot a bit late (150 feet - normally I do this at 400 feet agl) and it would not diconnect. Replay showed she had gone into a nice flare at about 100 / 150 feet above the runway! Cant remember exactly what the runway elevation was in the FMC, but do remember it was not close to sea-level as at Changi. Barometer was correctly set. Definitely broke the gear on the final drop when I somehow did manage to diconnect the autopilot! I have never had this problem with the 777. It doesn't do much of a flare on landing for me at all, but I usually reduce the speed in the IAS/MACH Indicator to about 110, when I about 100 feet AGL, to force the 777 to pull the nose up a bit. I know I shouldn't have to do that, but it works great for me. Disconnecting the Autopilot using the Disengage Bar on the MCP turns the Autopilot off immediately for me regardless of the altitude. When setting the initial FMS position will we always have to delete the zeros or just insert the current position over top of it? I use a VREF table from an FS9 777 version (since the VREFS in the FMC APPROACH page at the moment are static and way too fast). At the weight I was at (approx 433 K lbs) VREF 30 suggested was around 135. I came in at 140 and she definitely flared and reduced throttle. I did click the AP disconnect bar but nothing happened. Think I managed a disconnect by clicking of the FDs. I will try to reproduce this and see what is happening in more detail when I have some Sim time again. Will also post pic of FMC runway elevation - I am sure these are not being correctly loaded into the FMC. Do you mean the Spd/Alt of the runway on the LEGS page on the CDU (as in RW07L 240/180 for KLAX)? I don't know if the altitude of runway 07L at KLAX really is 180 feet. I could be closer to sea level than that because the altitude of LAX (in the GPS) is 126 feet. It could be that the threshold of RWY 07L could be 54 feet higher due to the undulation of the ground there, but I've never been there in real life to know if it really is. Another thing - Does the CDU/FMC put a higher altitude there as a means to make the 777 flare? 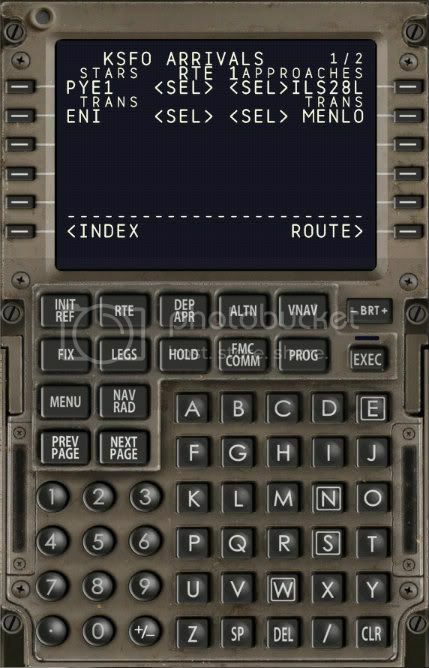 I put some RTE route files in the Captain Sim/Navigation/routes folder and they do not show on the FMC! They werwe made usint the FSCommander. There is no place to save them to CS in FSC. That does not work, the plans do not show up on the FMC. OK let me ask a stupid question: How does one fly a raw needles ILS approach in this airplane? Here in the U.S. the FAA has been real hot on pilot workload and use of automation. Every jet I've flow (real ones not flight sim) has a way of reducing automation back to the basics. I like flying flight sim using the ATC function. When you get close to an airport, ATC starts vectoring you to set up for an intercept to an ILS approach. How can I set up to do this in the 777? I've looked for a manual on the FMC but it is not out yet. Are you guys using knowledge from past CS FMC's? Quote: "This first image is how the flight plan looks in Flight Sim Commander 9.2." Thanks for reminding me about FlightSim Commander, I had tried it a couple of years ago but abandoned it for no real reason! Have now got v. 9.2 and am learning it. However, I can't find how to save a FSC flight plan in the correct format (.RT or is it .RTE?) so that it can be imported into the FMC/CDU of the 777. FSC seems to save flight plans with the extension .PLN... Do you have to import them from FSX 's folder? And, is there some way of deleting complete RTEs from the CDU? Pressing DEL and choosing the RTE doesn't work. Then scroll through the Flight Plans (PREV/NEXT PAGE) until you find the one you want. The ILS display on the ND is not working yet so you cannot fly an ILS approach yourself. However, if you press the APP button and you have the ILS programmed on the NAV in the FMC, the plane will fly the ILS to the runway. Of course you must intercept the ILS properly, although the 777 engages the ILS from some very sharp angles. All Boeing FMCs are basically the same. There are many tutorials on programming a FMC. The CS777 FMC can fly the plane itself from shortly after takeoff until touchdown (although flare is not yet implemented). Obviously it has to be carefully programmed including speeds and altittudes. 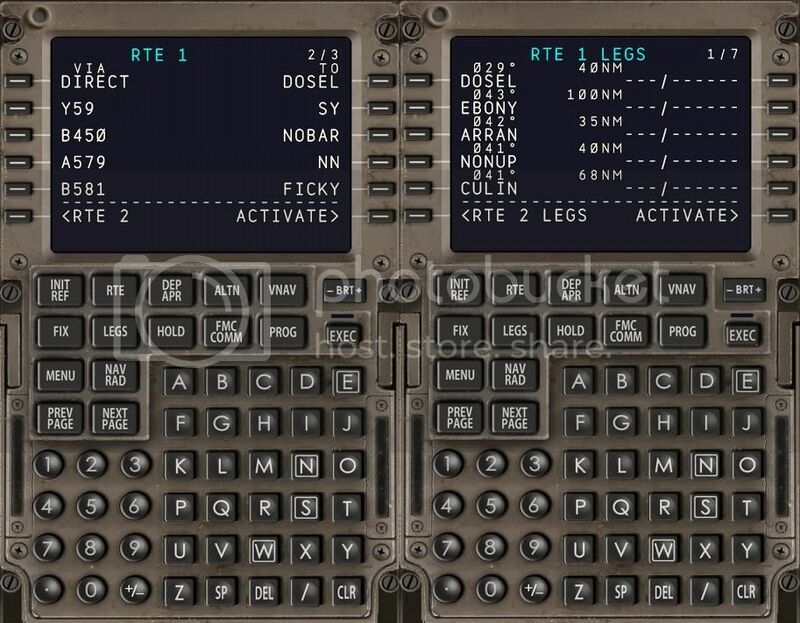 That's what I realised I had to do, since FSCommander doesn't allow you to save a flight plan as a .RT file. Am I alone in finding that the EXECuted RTE doesn't appear in the ND? It has appeared a few times before but never consistently. 2- Reload 777 at your Airport. 3- Go to six hydraulic, switches put them on all open switches. That is all..
Now, 777 all nav lights on and ready for engine start. Don't forget the start APU first and put APU on BLEED AIR panel. I use FsBuild. Generate Fplan and export to FSX fpl,/ Open FMC>Route>Send>FltsimFpls> Then select your Flplan. Only problem was not solved yet, when you select ILS RW for destination AP from FMC and activated it will not appear at Legs page. That happens if you remove your mouse from the key without lifting the mouse button--it happens in the 707 on the INS CDU. I'm not seeing this happen. UNLESS the CLR button is sticking and when I click on it once (briefly), it clears the whole line regardless of how many characters are entered. The CLR button is the only one that does it though and it is annoying when I enter one wrong character in the waypoint, press CLR, and the whole entry is deleted/removed. How far into the flight were you when you wanted to reach FL410? I have not yet flown it at that altitude. I think the highest cruise altitude I have done in it was about FL370/FL380 and I only got to that altitude towards the end of a long haul (or on a very short haul flight). I suggest you look at page 2/3 (ECON CRZ) on the VNAV pages and see what the OPT altitude is. Aim for the altitude it recommends (round it up/down to the nearest thousand feet). They do for me on a long haul flight. But not much. On a 6500nm trip, there is only one Step Climb. I'm having a problem with my decent, the throttles go to full instead of idle during vnav decent and I have to manually control the throttles to slow the thing down, then it seems like my speed brakes are useless. Is anyone else experiencing this? Which indicates that something is wrong there. I made a 7.5 hr flight, and the OPT was FL301 and MAX FL344 the whole flight. I had the right weights and everthing too. ALSO ANOTHER ISSUE IS THAT THE IRS INSTEAD OF HAVING THE BOXES FOR ALIGNMENT, HAS 00000.000.000. It would be better to set it to the boxes for our input later. This might have something to do with the fact that the 777 does not have its own FDE yet. In the 737, I think it was v0.8 or v0.9 before we saw got that. I just press DELETE to remove it and then the boxes can be seen. But this problem could be because the FMC\CDU is not complete yet, which might also go on to affect the Step Climbs as well. Manually inputting Place Bearing Distance way point doesn't seem to work (Not in database error). And Cross Above XXXX and below ZZZZ doesn't result in the correct restriction. It results in Cross Above XXXX and below XXXX. for example: 2500A3500B became 2500A2500B when in-putted to the FMC. Great job on the saving and loading of flights--systems load nearly perfectly. However, I'm noticing that sometimes, after loading a saved flight, LNAV won't work. Actually, what's happening is, when the aircraft is off course, it turns back on course, but when it reaches the correct route again, it turns back the way it came about 20�, and maintains that new course. hitting the -BRT+ Button only goes to dim and stays, i can hold the plus side but once i let go it automatically goes right back to completely dim. But only in the 2D version of the fmc. I have a lot of problems with the FMC initial position set coordinates ! When I load the aircraft my initial position is completly set to 00000... and I can't change it, doesn't matter if I'd start cold and dark or engines on. Right now I'm not able to do a flight because of that. The LEGS page in the FMC don't have T/D ( top of descend ). The T/D is important for any plane , because it tells the pilot when to start his/her descend. The LEGS page in the FMC don't have T/D ( top of descend ). The T/D �is important for any plane , because it tells the pilot when to start his/her descend. Figured it out with the 0000.. As you mentioned I just deleted them. Except of the weird presentation of the route on the ND .7 is a very good update. Started a flight to LFPG from Anchorage and when selecting the ANC6 departure it came up with a weird jumble of letters numbers and symbols. havent tried it with other airports so i wonder if its just a glitch that happens with the navigraph data. Did you program the CDU manually or did you load a Flight Plan created in another program? Also, update the Navigraph AIRAC to 1208. The one installed by default with the 777 is from a while ago (not that I think that would cause that). Programmed CDU manually and have the 1208 installed in all my addons that require it, i may try and see if it does it with any of the arrivals/departures into and out of Paris. In FMC take off page, when filling the required parameters and selecting a take off thrust setting,it shows the selected thrust in EPR. which is wrong,because currently (since the CS didn't include a RR engine) the GE & PW engines are Controled by N1 RPM. Firstly, have you pushed the AP button? Have you programmed the FMC? Are you using the V/S to climb? If so, what are you setting the climb rate at? That will affect your nose pitch during climb. When you are nearing your set altitude, if you are not using VNAV, your ALT HOLD button should turn green. Is this happening? Is autothrottle on? Have you set the speed in and pressed speed hold? I did the reinstall gig and it does not work! I've noticed on the FMC that text in the scratchpad disappears after a short time once you press clear even just once. If you clear only one letter, the whole string disappears after a second or two, and you have to start all over. I put the route in the FMC but when I take off the aircraft doesn't follow the correct route, for exeample if i have to go at point "ECHO" and the correct HDG is 013, the 777 follow HDG 240, and I' don't know why! VNAV appears to be a bit buggy. The altitude constraint for one waypoint was 11000B. However, the aircraft climbed to 12000, then descended back down to 10900. I can confirm this. On a short flight, aircraft overshoot FL170 which was the T/C to 18300ft then went back to 17000. Also, when descending, it will not decelerate to 250kts when approaching 10000ft. FMC will not accept any IRS position, it will always say "Invalid Entry". When editing legs, sometimes clicking a waypoint will cause a "Not on database" error. I can agree on the altitude and speed 'problems'. Regarding input of IRS/GPS waypoints, the FMC accepted those via loading a FSC flightplan (EDDL-KJFK), I did not yet try to enter them manually. I will give that a try soon. "N52W050" then "N54W040" then "N56W030" and "W56W020"
FMC accepted this as part for my transatlantic route. I will try further to see if I can manage to enter other, more detailled IRS/GPS coordinates but that will have to wait since I got quite tired. Your remark in combination with my FSC flightplan kept bugging me so I had to try. Turn the ADIRU off and back on before you enter the POS. This is how I would enter waypoints using only the Longitude and Latitude coordinates in the CDU in the following manner, based on how I do it for the CS757, CS767 and the "Other" 747-400X, because they all use the same type of CDU. So for N52W050, I would enter N5200.0W05000.0 - only because I have never added them using the brief format (N52W050). The manual says you can do it in the brief format, but I've never done it that way. Is that because it is too easy? Or that I do not enough work for me to do already? � N06� El 10� becomes 06E10 � S06� El 10� becomes 06S10. 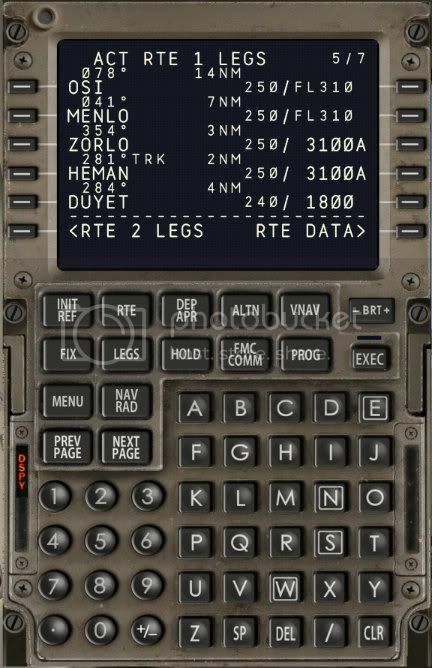 When you set the POS of the 777 and select (for example) the LSK R4, it is "pasted" into the scratchpad in the format that the CDU uses for entering the Longitude/Latitude for a waypoint. Well that's my 2 bobs worth! Up to 0.7 I found the VNAV to be behaving more or less OK. But somethings has changes in 0.8. On my test flight today, she undershot an altitude constraint by 2000 feet, and would not slow down to the speed restriction I had set of 220 knots at the same waypoint. This despite reaching the constraint altitude some 6nm before the waypoint, and full airbrakes applied. Should surely have leveled off to help reach speed and altitude constraint. I've mentioned these bugs before, but here are the difficulties VNAV has with descents. 1. Flight idle on VNAV is set at 40% N1. That is too much power to get the plane slowed down. That flight idle is appropriate after the gear or full flaps are deployed. Instead, flight idle should be 25% on descent. 2. Spoilers are ineffective. VNAV will always say "Drag Required." Spoilers will help but are quite weak. 3. Gear cannot be lowered until around 225 knots. The placarded gear extension is 270 knots. This means gear cannot be used to help slow the plane on rapid descents while maintaining 250 knots below 10,000 feet. This is a bug that needs to be fixed. Because of these problems, the VNAV is faced with either breaking the altitude or breaking the speed. The end result, however, is the same. The approach will not be flown properly. I know is not very beautiful write this but I buy the 777 because I love it and I can not use it until I will solve my problem, so can anybody help me with the problem that I write before in Page 10? 2. Enter waypoints in between the airports on the right side of page 2/2. ECHO does not sound like a waypoint because waypoints are normally five letters, airports are four letters and VORs are three letters. 4. Go to the LEGS button and make sure there is no "Route Discontinuity." You must check all the pages of your route using the Next Page button. If there is discontinuity then you must click the button to the left of the waypoint below the discontinuity and then click on the button to the left of the series of boxes that indicate the discontinuity. 5. Press EXEC and check your route and legs again to make sure everything is correct. 6. After takeoff, press AP and LNAV on the MCP if you want to follow the FMC route. Programming the FMC take some practice, but it is working on the 777. Good to hear you got the FMC working in .8. In .7 the MAP and PLAN were always North Up which caused some confusion as well. The cabin is very complex and cannot be used together with an airplane that has a VC because it overloads the capacity of FSX. This is stated in the new Manual Part I. There is a thread discussing this issue. People are hoping for a simplified cabin that will work with the VC. I have not tried to attach a different external model to the cabin, but you would have to edit the model.cfg file. However, the cabin model is designed mainly to look at from the interior, since it has no cockpit. Still getting the crazy descent problem, it goes up and down then the darn thing stalls out! The VNAV does not behave properly. I guess I'm doing something wrong. Please point out any mistake if there is one. The VNAV does not execute the descent. The waypoint altitudes and speeds are set by myself in the CDU. Supposing my cruise alt is FL390, and I've entered in the CDU that the aircraft should be at the next waypoint at an altitude of FL300, the VNAV doesn't even start the descent. I have to execute the descent myself using the vertical speed display on the MCP. Also, before the plane starts the descent, I enter the MCP alt as 18000 (trans alt most of the times). Am I going wrong somewhere? VNAV will start the descent if the FMC is programmed properly. Some things to check. 1. Have you pressed EXEC? 2. Are every one of your LEGS showing speed and altitude? 3. Did you dial down the MCP alt before reaching beginning of descent as shown on the VNAV page? 4. Are you engaging the spoilers when it says "Drag Required?" Sometimes the AP gets stuck so what I do is disengage it completely and then reset it to LNAV and VNAV. This happened when the FMC was reprogrammed in flight and the AP was in HDG mode. It would not subsequently go back to LNAV mode. Often descents cannot be flown according to the profile because 1) VNAV flight idle is set at 40% N1, far too high for a lightly loaded 777, 2) spoilers are weak and 3) gear extension speed is set too low. In that case you may want to switch to manual throttle and FLCH instead of VNAV. These should change about 500 feet for every 20,000 pounds of fuel burned. 4 attempts in 2 days same thing!! !